Just in time for Thanksgiving, a heartwarming tale of fleet-footed deliverers of Native American corn, it’s The Maize Runne—I’m being told that that’s incorrect, and what we actually read was derivative semi-hit The Maze Runner, which doesn’t really have anything to do with Thanksgiving. But we are thankful we only had to read it once. Also, it is pretty corny. And filled with turkeys. 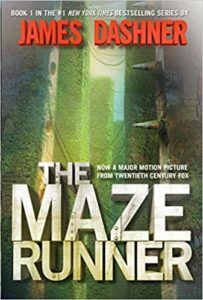 Stuffed to the brim with moments like “what Thomas felt was an inevitable barf,” and “despite the terrible crappyness of it all, Chuck smiled,” this one’s a veritable cornucopia of…uh…well, there’s a lot of maze running, anyway. Well, a fair amount. More maze running than most books, that’s for sure. 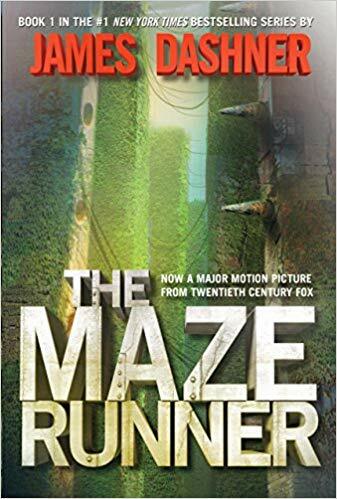 You’ll need your running shoes, and your best underpants for a day of fast moving, and your graph paper (for mapping), so if you dare, and if you’re swift enough, head for the Griever Hole and see if you can keep up with … The Maze Runner. NOTE: From now moving forward, we will be using bespoke little pieces of music of our own creation for our segment breaks instead of popular (and unpopular) tunes from other artists. There are many reasons for this, but most of them revolve around copyright law, and a general feeling of skeeziness about using other peoples’ work without explicit permission to do so. Don’t worry, though, we’ll still provide a “suggested soundtrack” for you to listen to while you do absolutely anything but read this book.